Local wealthy Jews pledge to give away half their fortunes – J.
Atherton businessman Lorry Lokey might have been the easiest sell Warren Buffett had over the past couple of months, as he tried to enlist some of the world’s wealthiest citizens to the Giving Pledge challenge. Earlier this year, Buffett and Bill Gates asked that their peers make the pledge to give away more than half of their money in their lifetimes. Forty of the world’s wealthiest people — including 13 Jews — signed on. Six members on that list are local Jewish philanthropists: Bernard and Barbro Osher, whose S.F.-based foundation has gifted millions to local Jewish causes; Oracle CEO Larry Ellison; Herb and Marion Sandler, who built Golden West Financial Corporation in Oakland; and Lokey. When Buffett and Gates made the list of the initial 40 signatories public Aug. 4, Lokey might not have been the biggest name, and he might not have the biggest checkbook, but he seemingly represents exactly the kind of giver Gates and Buffet want the world’s super-wealthy class to become. “This pledge is a very good thing — I want to be very clear about that — but I remain unsure if it is a game changer for the Jewish community in particular,” said Mark Charendoff, the president of the Jewish Funders Network, an organization for givers of at least $25,000 annually to Jewish causes. “If that is the case, then we will see money go to higher education, to health care and possibly to the arts,” he said, noting a phenomenon that long has vexed the Jewish philanthropic world. In addition to Lokey, other Jewish names on the list include Michael Bloomberg, Barry Diller and Diane Von Furstenberg, and Joan and Irwin Jacobs. Lokey, 83, already had pledged almost everything he has — somewhere in the range of $700 million — to a handful of charitable causes. He had sold his company, Business Wire, to Buffet in 2008, so the two were already quite familiar with each other. Lokey says that he was raised to give money away. Even during the Depression, when his middle-class Jewish parents made $2,200 per year, they gave away 10 percent of their money, an example he followed his entire adult life. A journalist by training who moved to public relations and then started his own business, Lokey has given most of his charitable dollars to education because, he says, without the education he received growing up and his education at Stanford University, he would have not gotten anywhere. Among his largest gifts: $134 million to the University of Oregon, where he grew up; $35 million to Mills College; $37 million to Santa Clara University; and $33 million to the Technion–Israel Institute of Technology. And while he has given by his estimate some $80 million to Catholic schools, his giving to Israeli education is off the charts. Aside from the Technion, he has boosted the Leo Baeck High School in Haifa, Ben-Gurion University of the Negev, the Weizmann Institute and Hadassah. Lokey says he hopes to make another $300 million or so off his investments by the time he dies (he says he will make 90 easy, as his mother died at 99 and his grandmother at 100), and the next big gifts will be to Israeli education. 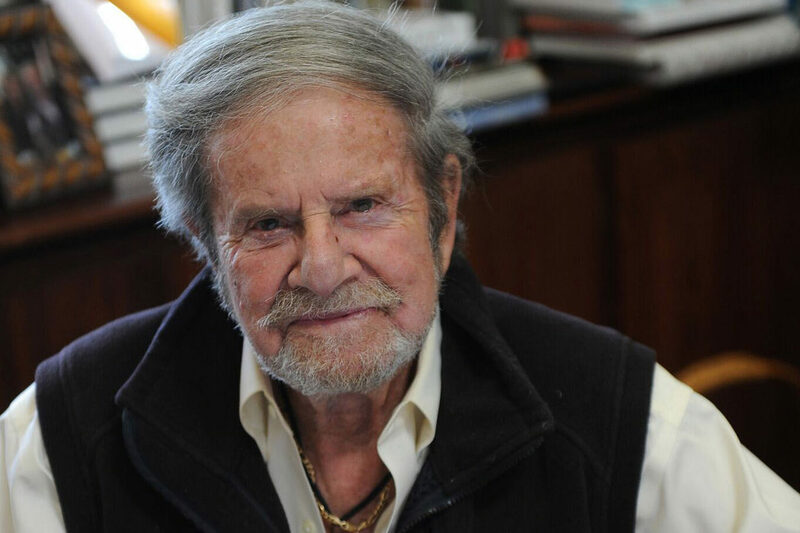 Lokey, who got his Jewish education at a Reform Hebrew school, fell in love with Israel on his first trip there in 1958, before he was really wealthy, on a mission with Hadassah. “Haifa I loved because it reminds me of San Francisco,” Lokey said from his home in Atherton. The house is one of three luxuries he says he allows himself, along with a San Francisco apartment and a home on Pineapple Hill in Maui. It might be tough luck for local Jewish charities, but Lokey says that his dollars are focused on education because “education is a matter of survival,” he said. the Giving Pledge, visit www.givingpledge.org. • In 2007, Oracle founder Larry Ellison gave $500,000 to fortify Sderot while on a mission to Israel organized by the Israeli Foreign Ministry. • Lorry Lokey, who says he wants to “die broke or close to it,” pledged $33 million to the American Technion Society. He has also given heavily to the Leo Baeck School in Haifa, one of Israel’s two Reform Jewish schools. He has also donated to Ben-Gurion University of the Negev. Lokey said that while he has already pledged away most of his $700 million fortune, he expects to make another few hundred million before he dies. The next $60 million or so will go to Israeli education. • Bernard and Barbro Osher have two foundations: the Bernard Osher Found-ation, which gave away more than $100 million to general causes — many of them $1 million–plus gifts to universities — in 2007; and the Bernard Osher Jewish Philanthropies Foundation, which is a supporting foundation of the S.F.-based Jewish Community Federation’s Endow-ment Fund. That foundation gave away $4 million in 2007 to an array of groups ranging from the Jewish Music Festival in San Francisco to the Osher Marin JCC in San Rafael. The largest gift that year was a $2 million capital grant paid to Conservative Congre-gation Beth Sholom, located in San Francisco’s Richmond District, where the Oshers are members. 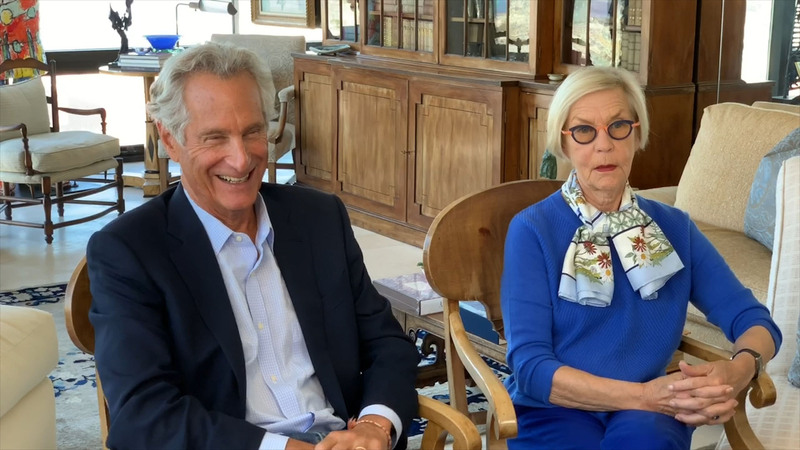 • Herb and Marion Sandler, founders of Oakland-based Golden West Financial Corporation, focus on five areas: international human rights, early childhood education, the environment, medical research and advocacy. Their Sandler Family Supporting Foundation, also a supporting foundation of the S.F.-based Jewish Community Endowment Fund, is a “spend-down foundation” that “acts with urgency to make significant contributions that have both an immediate and lasting impact,” according to its mission statement.